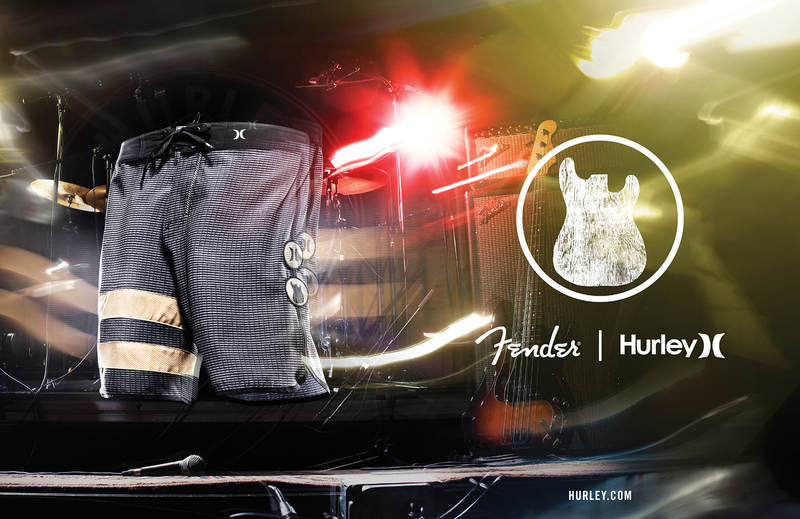 The Hurley x Fender capsule collection combined almost 90 years of history dedicated to Southern California’s rich surf and music culture. 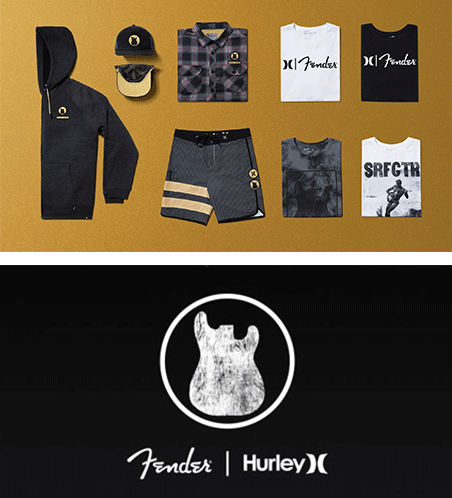 The Hurley x Fender seven-piece collection infuses the influence of the Southern California surfing and rock and roll lifestyle into its design. The Hurley x Fender seven-piece collection infuses the influence of the Southern California surfing and rock and roll lifestyle into its design. The collection includes Hurley’s signature boardshorts with Phantom innovation as well as tees, a zip-up hoodie, flannel and beanie.